Steve had contacted us with the desire to freshen up their existing website, however he also wanted a more aggressive search engine optimization strategy which would allow him to increase leads coming into the agency. 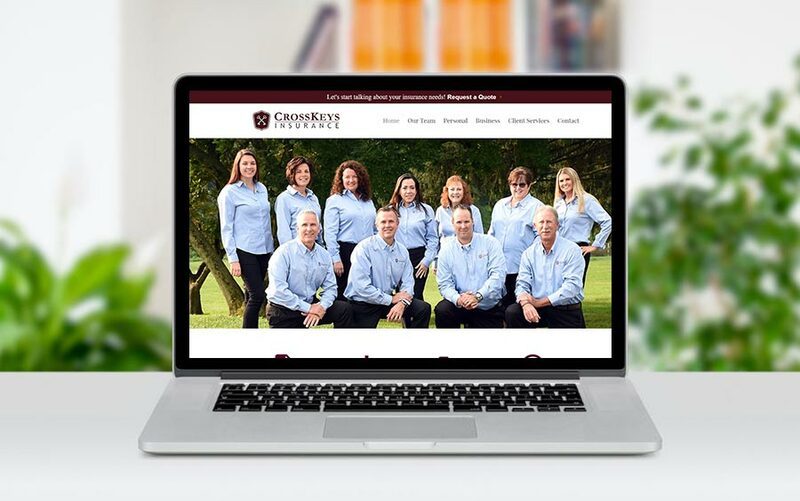 We are happy to report that CrossKeys website has moved from non-existent rankings to top rankings in Google for most of their targeted key phrases. This has greatly improved the leads they receive from the website, which has converted into more insureds and growth. We also added enewsletter integration that allows people to subscribe to their newsletter on the website. Once subscribed, visitors will receive any website updates automatically to their email without any other effort from the staff.